Another year of intense competition on the National Horseplayers Championship Tour is in the books, and a new NHC Tour Champion has been crowned. The NHC Tour Overall Leaderboard winner was longtime handicapping veteran DAVID GUTFREUND of Chicago, who has been a prominent leading figure on the tournament play scene since the days long before the start of the NHC era 20 years ago. Gutfreund won the NHC Tour’s grand prize of $100,000 for compiling 24,123 points on the 2018 NHC Tour, including a Second-Half leading 14,516, to secure the crown. After a relatively quiet First Half on the NHC Tour, Gutfreund caught fire and rode an epic hot streak in November and December to capture the Tour title, shocking First-Half winner Paul Shurman, who had been in control atop the overall Tour Leaderboard for much of the season. Shurman held on for second place with 23,425 points, including third-place in the Second Half with 13,009, but ultimately had no answer for Gutfreund’s late point-scoring onslaught. Overall Leaderboard point totals were based on a player’s top 7 scores earned throughout the year in NHC Tour events. Gutfreund actually participated in far fewer tournaments throughout the year than other past NHC Tour winners and the other players atop this season’s Tour Leaderboard, but when he did play, he often made those appearances count in a big way. Gutfreund also accumulated far more points in on-track contests than the other top players, and compared to NHC Tour winners of years past. Five of Gutfreund’s seven qualifying scores were earned in on-track contests. 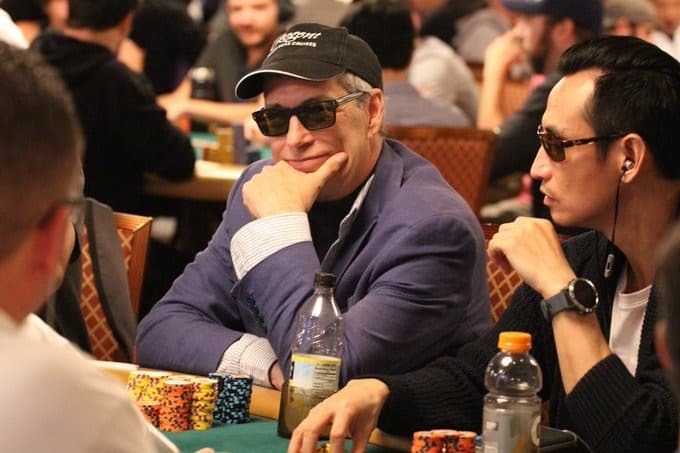 Paul Shurman, an NHC Hall-of-Famer from Dix Hills, NY, who will appearing in his 17th NHC Finals this February, appeared to be coasting home on top on the Overall NHC Tour Leaderboard, based on a consistently strong performance throughout the year. Gutfreund, on the other hand, had been a non-factor on the Leaderboard for much of the season. Gutfreund, now a 14-year NHC qualifier, earned his first 2019 NHC berth on the final weekend of the First Half with a victory in Hawthorne’s July 27 on-track tournament, for which he garnered 3,148 points. He then qualified for a second time at the Meadowlands on-track contest on Sept. 15, earning another 3,125 points. Even with two qualifying berths at that point, he still was not a factor on the Overall Tour Leaderboard. That all changed in November and December, however, as Gutfreund went on a hot streak the likes of which we’ve never witnessed in the 11-year history of the NHC Tour. During a 5-week period from November 24 to December 29, Gutfreund won three on-track tournaments at Hawthorne, Los Alamitos, and Monmouth, plus added two third-place finishes online at HorsePlayers.com on Nov. 30 and Dec. 14, to rocket up the leaderboard and ultimately come out on top. In that 5-week period, Gutfreund earned an unheard of 16,350 Overall Tour points. In addition to the $100,000 grand prize, Gutfreund also gets an automatic qualifying berth into the next NHC main event in 2020. He also is eligible for a record $5 million bonus if he goes on to win at the 2019 NHC finals. Considering the hot streak Gutfreund is on, an NHC victory certainly would not be considered a longshot. His prior top NHC finishes include a 9th-place finish in 2011, and a Final Table appearance and a 5th-place finish in 2016. According to NTRA statistics, Gutfreund is the fifth-leading point-scorer in the history of the NHC finals with 1,687 points earned in 13 prior appearances (Shurman is first with 1,936). Gutfreund is also 52nd on the all-time career NHC money list with $100,833 in earnings. Finishing third on the NHC Tour with yet another good performance for 2018 was Philip Lam of Fresh Meadows, NY, who finished second in the Second-Half standings and third overall with 22,460 to earn $25,000 in purse money. Lam had been third in the Second-Half and 15th Overall in 2017. The top 5 finishers were rounded out by fourth-place Tour finisher Karen Carey of Saratoga Springs, NY (22,002 points), and fifth-place finisher Kevin Willett of Hastings, Neb. (21,688 points). Total cash and prizes up for grabs on the 2018 NHC Tour were $425,000, of which $285,000 is dedicated to the final Overall NHC Tour Leaderboard. Half-year prizes totaled $100,000 in value, plus there was a $15,000 Rookie Leaderboard purse structure. There is also a pending $25,000 bonus available that will go to the NHC Tour top 40 finisher that goes on to finish highest at the 2019 NHC main event. The NHC Tour also awards other benefits as well, including offering NHC qualifying berths to the top 50 previously non-qualified players. A list of the 50 NHC Tour qualifiers can be found on the NTRA’s website at http://ntra.kinsta.com/nhc2/leaders/. The final top 50 non-qualified Leaderboard cutoff was 9,836 points. NHC Tour points were awarded based on a player’s top 7 point scores throughout the year based on finishes in NTRA-sanctioned NHC qualifying tournaments. Point totals were higher this year. In the past only a player’s top 6 scores were factored into the results. Points are earned on a sliding scale based on top 10% finishes in NHC Tour on-site or online handicapping tournaments. On-site tournaments are more heavily-weighted. At least one of a player’s seven scores must have come from an on-site event. NHC Tour members were also competing for top 5 placings in the NHC Tour’s Second-Half Leaderboard. The top 5 Second-Half finishers all qualified into the 2018 Breeders’ Cup Betting Challenge [BCBC], or earned the BCBC’s $10,000 cash value if they’ve already qualified. The second-half NHC Tour Leaderboard is separate from the main Overall Leaderboard. Only a participant’s top four scores accumulated from July 30 through January 12, 2019 counted toward the NHC Tour Second-Half standings, and at least one of those four scores must have come from a live on-site contest. If you are wondering about the First-Half results, here is a refresher on the final NHC Tour results for the First-Half Leaderboard, from February 10 to July 29, 2018. Point amounts are based on a player’s top four scores and must include at least one on-track score. First-year NHC Tour sign-ups – NHC Tour Rookies –also battled throughout the year to land in the top 5 on their own dedicated Leaderboard. Rookies competed for $15,000 in prizes with $5,000 going to the winner, $4,000 for second, $3,000 for third, $2,000 for fourth, and $1,000 for fifth. All prize winners will receive their checks in a gala ceremony at Treasure Island on the Las Vegas strip following the conclusion of the NHC finals on Sunday, February 10. The 20th annual NTRA National Horseplayers Championship [NHC], presented by Racetrack Television Network, Stats Race Lens, and Treasure Island will be held on Feb. 8-10, 2019 at Treasure Island Las Vegas. With an estimated total value of $2.8 million, the NHC is the richest, most important and most prestigious tournament for horseplayers in the world and is the culmination of a yearlong series of sanctioned local tournaments conducted by racetracks, off-track betting facilities and horse racing and handicapping websites. Each year, the NHC winner joins other human and equine champions as an honoree at the Eclipse Awards.